The coffee is made in small batches daily in each store. It features coffee that is steeped in cold water for an extended time (that is usually measured in hours) resulting in a "rich, smooth coffee with an inherently sweeter flavor reminiscent of dark chocolate." Given the small batches and long steep time, it can sometimes run out later in the day. The new cold coffee option was introduced earlier this summer in the New York metro area as well as in California. 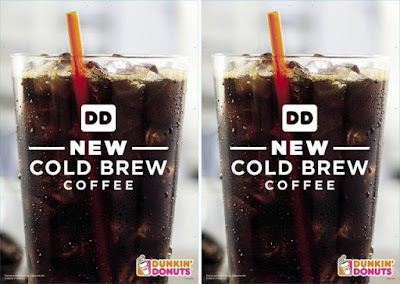 Dunkin' Donuts' Cold Brew coffee will be available in 16-oz to 32-oz cup sizes.